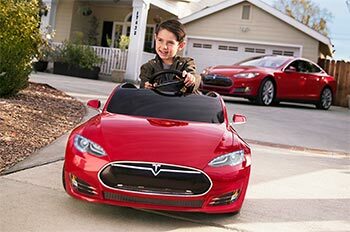 Every Tesla Model S for Kids is a battery powered ride on that comes equipped with high-end features to recreate the ultimate Tesla experience. Powered by Flight Speed Lithium Ion Technology to provide more playtime than any competitive product. For ages 3-8. We have the VIP Sound Check Meet & Greet Ticket Package for two for Little Steven & The Disciples of Soul show on May 1, 2018. For additional information, go to the Ridgefield Playhouse web site. Our Spring event will feature a collection of Micro and Mini vehicles. We invite owners who are interested in showing their Mini or Micro vehicle to REGISTER with us selecting CONCOURS and optionally the Tour d'Caffeine. Twenty five of the vehicles people have submitted for consideration will be invited to display on Railroad Place. Each selected vehicle's owner will receive a gift bag and a commemorative license plate to recognize their participation. Once again Rich and JeanTaylor of Vintage Rallies have prepared an interesting and exciting route for our rally. We will depart from the Saugatuck Station at 11:30 and have a lunch stop at the newly re-opened and rennovated Redding Roadhouse followed by a tour of the CT Car Storage facilities. Click on REGISTER to register your vehicle and optional guests for the Tour d'Caffeine.